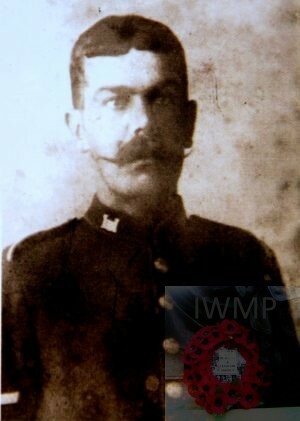 Died: 6th August 1915; age: 27; KiA. Date of Entry Therein: 2nd September 1914. 1891 66, Cavendish Street, Ipswich. Edgar was 3 years old and living with his parents & brothers. John Tapler Brooks, 35, a Mariner, born Chelmondiston, Suffolk. Emma Harriet Mallett Brooks (nee Wilding), 35, born Ipswich. John Brooks, 11, born Chelmondiston. Sidney Brooks, 9, born Chelmondiston. Mitchell Brietwiser Brooks, 7, born Chelmondiston. Bertie Ivor Brooks, 5, born Chelmondiston. William Brooks, 1, born Chelmondiston. 1901 34, White Elm Street, Ipswich. Edgar was 13 years old, a Fishmonger’s Errand Boy. He was living with his widowed mother & brothers. Emma, 45, a Stay Corset worker. Mitchell, 17, an Engine Marking Machinist. Bertie, 15, an Engine Drilling Machinist. Amos Brooks, 9, born Ipswich. 1911 9, Mount Street, Ipswich. Edgar was 23 years old, a General Labourer. He was married & Head of the Household. Elizabeth, 22, a Tailoress – employer & a Tailoress for the Asylum Clothing Company. Edgar Sidney G. Brooks, born October 1908, Ipswich. Ellen E. Brooks, born 1911, Ipswich. Elsie Bertha Brooks, born 1914, Ipswich. Edgar’s father John Tapler Brooks died, 1893, Suffolk. Soldiers’ Effects to Elizabeth F. Brooks – widow. William Brooks died 16th May 1921, aged 31, at Ipswich. 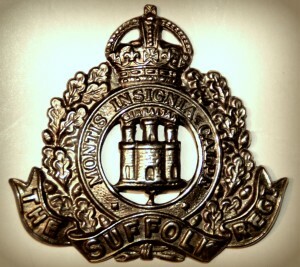 He was ranked a Private, service number 20061, of the Suffolk Regiment, transferred to (487735), Labour Corps. Edgar is also remembered on the war memorial at St. Peter’s Church, Ipswich.